This is an excellent product. Have been sleeping well since beginning to take it, which has been over a year. My daily energy increased and the fog lifted within less than 3 days. I feel like I'm back! I've tried many adrenal supplements. This one is very helpful. Thos product works so well. I feel more energized The Adrenals work so hard, daily. I highly recommend this product. Still on my first bottle of Advanced Adrenal Factor but I'm noticing big improvements in my sleep patterns. This is a product I have taken for several months at a time when needed over the past several years. It works remarkably well to reduce adrenal stress. I have taken it and I recommend this product for my patients. I have only seen good results. This product has, along with the adaptogenic herbs, adrenal cortex which causes calming. Many adrenal supplements have the whole adrenal gland which seems to cause irritability, anxiety and headaches. Many of my patients have adrenal stress impairing their thyroid functioning. This is the product I recommend and it has been very helpful to many. Nothing else helps me except for this product. Thank you guys. Have had a great improvement using advanced adrenal. Feel much more energetic and sleeping better. I have taken Adv. Adrenal Factor for 11 days. I'm amazed how much better I feel since I have started this supplement - feel more energized and have better mood..
My brother recommended that I take this product. I have been taking this product for a year, I notice that I have more energy. My allergy symptoms have decreased, too. I gave bottles to colleagues to try, and, they reported great results. This is the most effective product for your money. I've tried other adrenal products with the same ingredients, however I've never felt as good on those other products as I do on this one. I have increased energy, my hormones are more regulated and I sleep much better. This supplement greatly increases my energy levels throughout the day. It also makes my hair thicker and my nails stronger. I am also much happier. I highly recommend for anyone struggling with fatigue and sluggish adrenals. Shortly after I began this, I noticed that I felt more balanced and solidly rooted in my body. This is an excellent supplement and has helped me get through a very stressful time in my life. 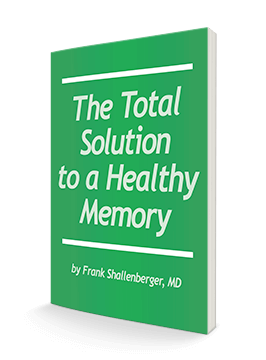 I can't tell you until I've taken the product for the required 3 months' recovery, according to Dr. Shallenbergers' report....however, I've taken this product for 1 month to the day! I'll let you in on a little secret...these products work, stay tuned for the miracle part-2 months to go!! I have been using this product for a couple of years now, for general help with my energy levels. My sister just started using Advanced Adrenal Factor and Pectasol, and she finds her energy levels have skyrocketed. I've taken a number of adrenal/fatigue supplements, especially the last 10 years. Presently this is my favorite....been taking about 6 months. After having to use a cortisone for adrenal fatigue the doctor gave me another product. It didn't help so decided to try adrenal factor and have used it ever since. This supplement should be taken by "ALL" past their "PRIME". I am now able to do things that I could no do before. My daughter is doing so much better now! After six months of taking Advanced Adrenal Factor, it continues to work well for her. She is able to work hard every day, and she says the only thing she feels at night is 'normal' tiredness. All in all, she's begun the future she's always wanted and we are all grateful for her improvement. Great product have used many times and it seems to keep my energy up for the day. We have been dealing with intense circumstances in our home for about 3 years. I felt like I was on high alert at all times. The supplement has gradually produced a real calmness and ability to focus without constant stress. I feel much better after I have started Advanced Adrenal Factor. More energy! The theory behind it (adrenal exhaustion due to stress) has convinced me and it worked in practice. I have used several brands of adrenal complex but I like this product due to the combination of ingredients. I'm 70 years old and have a very busy schedule. This product helps keep my energy level up and my adrenals healthy. : I have been taking this supplement monthly for four years. I think it's the best choice on the market. There are a lot of formulas out there now, all good, but I still like Adrenal Factor better. The reason being that Adrenal Factor combines the herbs and the glandular extracts and the b5 and the licorice all in one. I really can't say enough good about this product, it has been a godsend to me. Thank you for it. Being as I have a fair amount of stress situations, my adrenaline glands get a workout! Without help, I am absolutely spent. This product works. Without it, I definitely feel a difference. I no doubt feel the diference when taking this excellent product, It is a remarkable sensation of wellness accompanied by a desire to live huge. So far I really like the Adrenal Factor! It will help to get the Dutch Saliva Test to find out what exactly your cortisol levels are during the day to know exactly when to take this to get the most benefits and help you at the same time! I can currently on take this in the morning and not at night anymore because my cortisol levels are too high at night. I do feel more energy and stamina for sure!! I just began taking Advanced Adrenal Factor about a week ago. I decided to take it in hopes of reducing problems trouble getting to sleep and low mood. Almost immediately, I found I was able to fall asleep easily and my mood was quickly improved. This is an amazing product. Good quality product. Excellent formulation. I would recommend this product for increased overall well being. I have not been feeling very well.Drain out;a lot of stress.I couldn't function anymore.3 days of taking adrenal support;I could see a change.Getting back now my energy.My life.I was so drain,I couldn't function anymore.Thank-you advanced bionutritionals. My daughter and I have been suffering from adrenal burnout for many years. We tried many products but when we started Adrenal Factor, we could both tell that this product was working. We are thankful for Dr. Shallenberger for all he has done. I was feeling tired all the time and when I started taking Advanced Adrenal Factor I noticed a remarked difference in my energy levels. It is a bit pricy with the exchange rate as I live in Canada but I will still be ordering again. I would recommend this product. Excellent product, reasonably priced, and great service! I noticed I was no longer waking up tired or needing a nap mid-afternoon. When I ran out of the supplement, these fatigue symptoms returned. Now back on the supplement, I am energized again! This is one of the few supplements I have taken (among several) that I could actually name a noticeable difference. My allergy is gone. But my daughter's, who did not take this supplement, continue. My wife & I both take it, & we are noticing a big difference in energy & health! I cannot thank you enough! The adrenal heightened my immune system sufficiently and helped my ankles when walking,Thank you. You dont know how badly I needed your adrenal product . I have had adrenal fatigue for several years now and I know that I have more energy when I am faithfully taking Advanced Adrenal Factor. I think this is the best adrenal supplement money can buy I used to have constant drainage. I had a multitude of symptoms from having environmental allergies and since taking the advanced adrenal I feel normal again. I recommend this product to family/friends and have even given some to my youngest sister. I have been taking this product for a few months and I find it to be very good. It provides me with energy which I need as I am a very busy person and it is also balancing my hormones. I used to have a lot of facial hair on my chin area. After starting to take this product I have fewer and fewer hairs appearing on my chin. I am very pleased. Having completed 3 months of daily supplementation, my problem with awakening several times a night from a high cortisol problem has been apparently cured. I now sleep through the night. Much thanks to Advanced Adrenal Factor by Advanced Bionutritionals. I hade quite a stressful time a few months ago with energy decreasing and feeling overwhelmed at times with the little extra stress in the family. 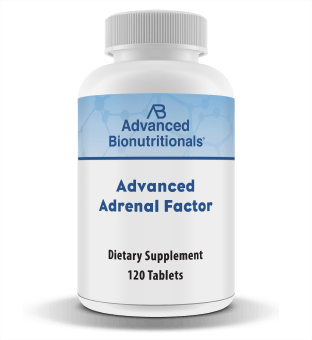 Your Advanced Adrenal Factor has helped with energy and mood. Recommended by my Kinesiologist. Switched from another brand, same result, less expensive. I have been experiencing extreme fatigue. Was unable to do any of my chores or anything fun for that matter. After two weeks of taking Avanced Adrenal Factor, I was sleeping better and was able to follow a routine to get things done when I got up. I'm starting to feel like my old self. Thank you Dr. S.! I was more than pleased to feel the difference I felt having this help from the stress I find myself under. Very pleased!! Since my brother introduced me to Advanced Adrenal Factor, not only am I taking it, but so also are my sister and two other brothers. Living in a stress-filled society, we all recognized symptoms of adrenal fatigue and wanted to do something about it. My younger siblings have stressful jobs. Two of us are retired and taking care of spouses with health issues. We all feel that Advanced Adrenal Factor is making a significant difference in our coping with the stress in our lives. I've required adrenal supplements for a number of years and have tried several others. I find this product meets my needs better than the others I've tried and I've recommended it to a friend with similar issues. She had the same results, this one works better than others:) Thanks for a great product. I have noticed an improvement in my overall health. When I forget to my take my Advanced Adrenal Factor, I get stressed more easily. When I take it, I can feel the difference in a couple of hours. I, now, rarely forget to take it. After my lab work revealed my adrenal glands were fatigued I did some research and found this product. I had noticeable results in a very short time. Didn't need a afternoon nap and had energy all day! This product helped me to combat extreme adrenal exhaustion about 3 years ago after I had a pinched nerve in my shoulder blade. Only later I found a capable lady osteopath who managed to ease it off, and rebalance the nerves in my muscles. Now I take advanced adrenal factor supplement to keep my adrenal glands in a good shape, since they get exhausted easily due to a variety of stressors. I am 77 now. I have not taken this formula for long enough to notice any difference. I have been taking PURE SLEEP for a while and find it VERY helpful. Thank you so much. Evidently this product must be helping, since I have a very stressful job and I have not lost my cool when my bosses keep giving me last minute work all the time for deadlines. I take this product for seasonal allergy support during the hey fever season. I am very pleased with it's performance. I work in an ER, so life is very stressful. I notice the difference especially while at work. It helps me stay calm, focused and still get a goodnight sleep. I often wonder how I physically got this far in life without it giving me so much help. I didn't seem to notice any improvement after several months of using this supplement. But I did go off of it for a couple of months and that is when I started going backwards. So I went back on it and things are better. Purchased this for my daughter who was dealing with a lot of stress and fatique from a heavy work and school load. Seemed to really help her energy level and enable her to deal with the stress in her life a little easier. This product has really made a difference. I was to the point of not getting out of bed after 8 hours of sleep! Now I'm ready to go! Yes, I would highly recommend Advanced Bionutritionals Advanced Adrenal Factor, I feel it is helpful. Desiree L.
I think this stuff works. I did test myself. Took my blood pressure lining down. Then again as I got up. It did not go up. It actually went down 10 PSI. I have just finished one bottle. I now pass the test. I "think" I'm not as tired. Hmmm. Your products are very good. The Nerve Support was a life saver. The pins and needles in my feet at night stopped immediately. Will see. Info. I am a retired airline captain. I Ski. Play tennis 3 days a week. Hike my dogs every day. Pump Iron in the GYM 3 days a week. Play golf in the summer. I'm 82 years old. Great health. I don't think I can tell a difference yet. I believe that it will probably take awhile. I am a faithful subscriber to your Second Opinion newsletter, and value the information I learn from reading it. Often it gives me tips about how to manage my own health challenges. At age 70 I had been noticing more fatigue and your description of how the adrenals might need support made sense, so I ordered a supply of Advanced Adrenal Support. Sure enough, after I started taking the recommended dose, I began to feel more sustained energy throughout the day. I look forward to continuing through the entire six month supply I have purchased, and will then assess with the help of my alternative care provider as to what level of dosage to continue. I do wish it could be entirely vegetarian, though. I purchased this product for my granddaughter, who is a traveling nurse. All I can say is she was satisfied with this product. Used to get extremely run down and after taking this product for just about a month, it seems that my energy levels have significantly increased. I have used this supplement for the past two months and it has improved my health in very measurable ways. I think this is a great product. Anyone with adrenal problems should take it. I have been using adrenal factor for a while now, and yes I have noticed a difference. I have noticed a difference and will order some more. I am still taking this supplement and I have had good results but hope for a little more energy. 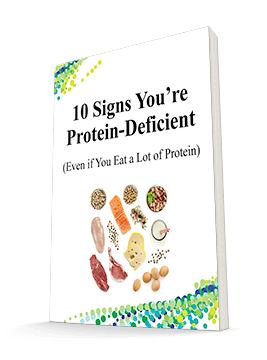 I have purchased many supplements from Advanced Bionutritionals and have always been very happy with the service and supplements. So far I have not noticed much of a change, but after speaking with my doctor, she said that it can take a few months and I have only been on these for one and one half months. I will continue to use as directed and I should be seeing results in the next few weeks. I have used your product adrenal factor for a while. I think it is doing me good as I live in a stressful life. Thank you. I have taken about half of the bottle of Adrenal Factor and cannot say that I feel a difference in my energy levels at all. I am taking 2 tablets for less than 2 months now. I'm taking Adrenal Factor in the hope of getting some more energy. I'm 80 with lots of joint and GI problems and trouble sleeping. I feel maybe it does help a little and would not stop. I'd try anything to increase my energy a bit. I can't tell if it has helped. I am still tired all the time with no energy. To be honest, I have not noticed any difference at all. I'm in my second of three months with Advanced Adrenal Factor (and Advanced Joint Support). In my first month I thought my energy and stamina were starting to improve. Now, in my second month I'm still hopeful. (I give a more detailed review with Advanced Joint Support.) Briefly, I'm a very active man in my late 70s and I'm looking for an answer to my loss of stamina. If Advanced Adrenal Factor doesn't begin to work more effectively, I'm not sure what next to do to improve. I'm increasing my 3-to-5 times weekly workout intensity with the P.A.C.E. protocol so my short term energy is improving, feeling energized after the 15 minute workout. I still struggle with my stamina in the two-hour second tennis set, some days I must stop midway. Until three years ago I could golf and play multiple tennis sets, and hike at altitude for 15 miles with no problem. Still hopeful. I haven't noticed any difference since I started using it. In fact I'm sending it back for a refund, I am happy that you've always have refunded my money, no questions asked. The capsuls are too hard and I feel like they do not get absorbed. I've been taking Advanced Adrenal Factor for three weeks and have had no improvement in my symptoms. I will be returning the product for a refund. I would give it a rating of 0 stars. I have taken 3-4 bottles of advanced adrenal factor. Have not noticed any improvement yet, but hope that if I keep with it, that it will pay off eventually. Have faith in Dr. Shallenberger. The product literature promised increased energy, but I didn't feel a thing. Have not seen any difference in using this product, LOVE the blood pressure one and will try other products but adrenal did nothing. I've been taking the supplement for about a month and I haven't noticed any difference in the way I feel. I have been using this product Advanced Adrenal Factor for 2 months with no results at all. Unfortunately it has not even had the slightest affect. Maybe it needs more than 2 months to take affect. Have taken it for sometime and notice no improvenent in health of in any way. Your claims about benefits are wildly overblown. I purchased your product because I felt tired no energy and did not feel good. after six months saw no change- still all the above. I did not notice any change in my health and the product is very expensive. Your adrenals produce stress hormones like adrenaline and cortisol. So it’s important you support your adrenals with four particular nutrients. These include pantothenic acid, licorice root, liver concentrate, and adrenal cortex extract.